Again, a masterpiece that will surely last a few more years in the bottle and rather in cooler, slightly humid weather its full range of flavors can call. A Friday afternoon had to be tuned for a generous touch. Spotify played the playlist Kaffeehausmusik. As recommended, the sailing seagull has spent the night in the fridge and has now been exposed to the atmosphere of my balcony in a large burgundy glass of Zalto glass manufactory DENK'ART with matching small opening. At first there were still light notes of caramel from condensed milk, Turkish honey, shortbread and light coffee notes in the nose. As time progressed and the product warmed slightly, the aromas turned to red tropical fruits, raisins with a slight smoke and bergamot note. After about 20 minutes, the typical notes of seagrass, wet leather, red pepper and little cold smoke from a campfire with sulfur came to the fore. This metamorphosis of odors was framed by the cask typical notes of sherry, bourbon and rum casks used. Pleasant creaminess spreads with the first sip in the mouth. The just over 50% Vol are very harmoniously integrated and present smoked, slightly salty beef jerky and again the beautiful aromas of red fruits like raisins and now also tropical fruits. A fruit basket with ripe mangoes and dark berries and elderberry is spreading. On the palate, the phenol-containing smoke of a still warm extinguished campfire of small branches and fine, slightly damp pipe tobacco remains for a very long time. After a few minutes, a dryness spreads that presents maritime notes for shellfish and dried fish. 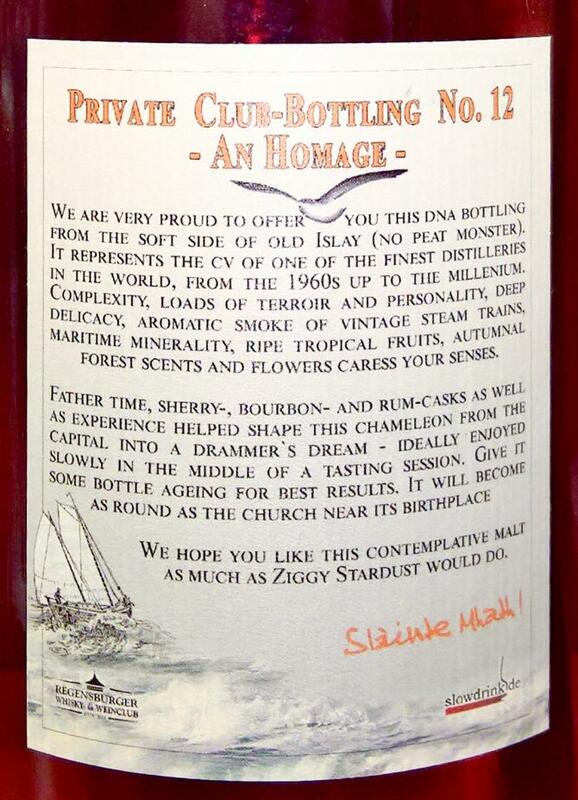 A Bowmore Vatting from four decades, an absolute perfume with many facets - very delicious and already a bit legendary. Edit: I have to correct myself: the finish is very long and still present the next day. Even after just a few days it's developing on and on. With every further day the old style and fruitiness of the 60ies shows up more and more ! A great Whisky again. I was lucky to taste it one year ago before finishing and i must say it got again a lot better and rounder. Made me feel like drinking an old 60ies, 70ies Bottling but it also has this wonderful freshness and liveliness. Perfect Sherry balance and quality. This year's bottling of Pit and his team is again marked by a legendary Islay distillery. Were the last two bottlings Ardbegs, so it takes us this year in the Bowmore Distillery. Bottlings were mated to various vintages, mainly from the mid-90s, the youngest vintage is from 1964. The goal was again to generate a dirty old-school malt. 75% comes from various sherrycasks, the rest from ex-bourbon casks. The whole thing was then ripened in refill sherry and rumcasks to harmonize and calm the whisky. So, enough talked about, starting with the whisky, which has been scented the room for 30 minutes, the olfactory bulbs: a soothing freshness fills the nose, like a walk through a wet wall of needles in the misty late autumn before the first snow. Wet tree bark and moss. Behind it are maritime influences, salinity and iodine. Honey. Incredibly complex, more complex than the fantastic Crois Chill Daltains, this Bowmore is constantly changing in the glass, is still a bit restless despite the 30 min rest period, yet so simple and so clear. This gentle, clear freshness always stays there. Sherry influences show in charming fruit notes of sour cherries and mango, very different to the classic sweet wine association full of raisins. Here is some anise, some walnut and yes, of course, the Bowmorerauch, discreet and appropriate. And in the background you may also be able to guess light violet and perfume notes. Everything is in steady state, everything is beautiful, everything is harmonious and funky complex, but the autumn freshness stands as a dormant complex that holds everything together. No alcohol that bites me. I want to lose myself in this forever, and I smell a little further .... and on ... The taste is wonderfully creamy and surprisingly vanilla with a beautiful spicy wood. Here is some cinnamon, as light fruit and menthol freshness. The mouth is flooded with light smoke and the tip of the tongue is ashen-dry. Nothing bites here, nothing beats me: the 50.4% are the perfect drinking strength with farmonisch bound alcohol. Ester and phenol notes as well as iodine. 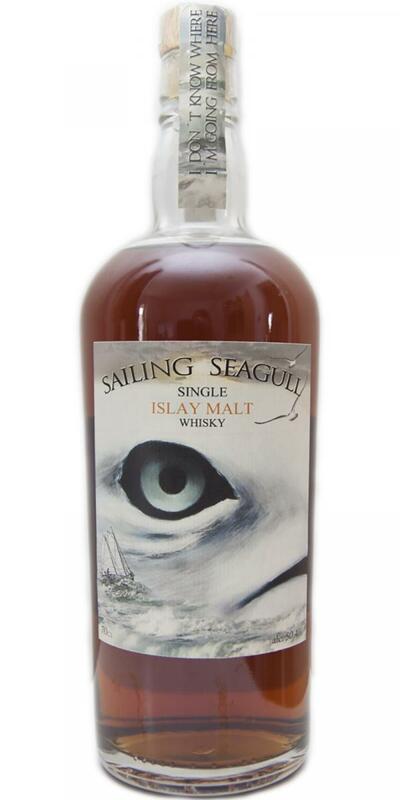 Maritime saltiness paired with caramel goes into a medium-long finish, saltiness and maltiness remains at the tip of the tongue, slowly the mouth dries out, becomes slightly bitter and one longs for the next sip, and the next, and the next ... yes one you can not deny him some sweetness either. 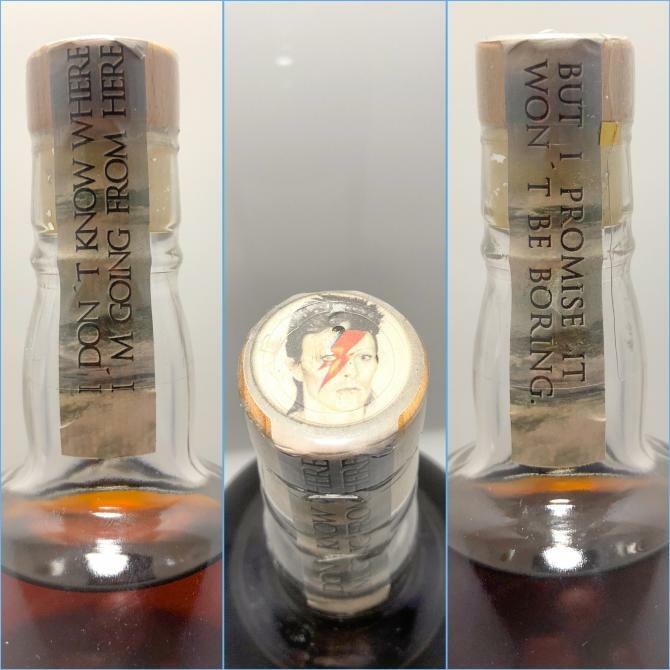 What more does the whisky heart want? Ok, yes, I admit, I'm Bowmorefan, but this whisky is just awesome without end. When I first tried it, I spontaneously gave him temporary 95 points; Back then, I did not make any notes in the blink of an eye, just enjoyed it - now I could finally take my time. For me, this whisky offers an incredibly nice combination of aromas, the nose is in principle perfect for me. Also in terms of flavor and finish, the filling convinces me on the whole line, so that I upgrade today to 96 points. mostly from the best sherry casks (75%: refill and first fill, also Fino shares), with expressive ex-bourbon hogshead shares for a balanced and complex character. ...and this dram reminds me very much of heavily sherried Bowmore from the end-eighties/early-nineties. If there are any 60ies or 70ies vintages in this experiment they are completely covered by the bold sherry and peaty notes of the modern stuff. Do not get me wrong, this is delicious and easy quaffable but in my honest opinion the fine older Bowmore vintages are somewhat wasted in such a setting. Nevertheless, thanks for this interesting and enjoyable experience dear RW&W! Being completely honest I think the high average score flatters this whisky, it is good but certainly not worth that score IMHO. The nose is pleasant with soft sherry, milk chocolate, dark fruits like black cherry & black currant, hints of fudge & menthol, finally some brown malt vinegar is there, this sounds a little weird but it is a positive addition. Not the most expressive but nice certainly. This is creamy, very fruity and juicy with it but there is a dry edge to it that in time adds a slightly bitter note. The sherry is in command here and starts to swamp everything else and there is also a slight metallic note mixing with the dryness, mixed fruit jams and again some milk chocolate that the nose suggested. It remains fruity and juicy but there is not enough depth of profile to get it over 90 points. The finish is nice but not very long and fades too quickly. Anyone who knows the rum from last year knows a lot about this dram. For my taste, the keg has done a good job. In the nose I can not get rid of the initial notes, which is why he unfortunately does not show me his complete complexity. Nevertheless, a very tasty whisky!